Congratulations to the three classes below who are our winners for this week - keep it up! A huge well done to all three classes above who all have great attendance this week. Wales, France and Argentina will receive prizes in next Friday's celebration for having attendance above 99%. Wales and France will also be rewarded with a non-uniform day for having 100% attendance - date to follow. An amazing 17 classes were in the Green Zone this week with an attendance above 96% - a huge well done and thank you to you all! had no children arriving late to school this week! children come to school everyday and on time! 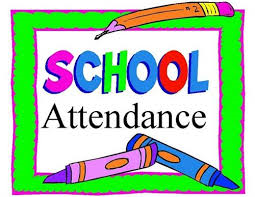 It is still important that we all work to improve our attendance. Please remember that our school target is 96%. Clockhouse and Bower Park unite! Year 1 take on time! Year 3 become Groovy Greeks! Veggie Run - help our school! Clockhouse Gymnasts Bounce to Glory!